But what happens when the holidays are around the corner and you are single? Here are some tips to cheer up the holiday blues and help singles in the Cyber-Dating world make the best of the holiday season. ? ? ? ? ? ? ? ? ? ? ? ? ? ? ? ? ? ? ? ? ? ? ? ? ? ? ? ? ? ? ? ? ? ? ? ? ? ? ? ? ? ? ? ? ? ? ? ? ? ? ? ? ? ? ? ?? ? ? ? ? ? ? ? ? ? ? ? ? ? ? ? ? ? ? ? ? ? ? ? ? ? ?? Cyber-Dating Tip #1. ?GET A NEW LOOK. ?Try changing your hairstyle, go shopping in your closet, and jump out of your comfort zone and try wearing a different color. Cyber-Dating Tip #2. ?GET NEW PHOTOS. ?Why wait until the New Year to show off your new look. It’s time to get some professional photos taken, and upload them to your online dating profile. ?Refresh your look in the eyes of those who will be searching for you. Cyber-Dating Tip #3. ?JOIN AN ONLINE DATING SITE. If you are not online now, or think you should wait until the holidays are over, you may be missing out on meeting that special someone or being invited to a holiday party. ?There are plenty of sites that offer free trial memberships. ?Check out our?Dating Community?to see a few options. Cyber-Dating Tip #4. ?GO TO SINGLES EVENTS. ?There are plenty of singles events in every town. Check your emails and local newspapers for the schedule and r.s.v.p. with a yes! ?Many of the Internet dating services have holiday parties scheduled for singles during the month of December. 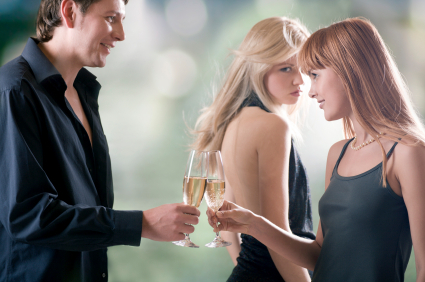 Other dating and matchmaking services have dinner parties and dances just for the holidays. Cyber-Dating Tip #5. GRAB YOUR SINGLE FRIENDS. ?If you are dating online now, consider each date as someone who can expand your social network. ?You might not fall in love over coffee or lunch, but if you make a new friend along the way and host a party, they can bring their single friends as well. And if you are successful with any of these Cyber-Dating Tips for the Holidays, please remember to let us know at?cyberdatingexpert.com. Julie Spira is an author and cyber-dating expert. If you like this article, you have permission to reprint or repost it in its entirety with the bio and link intact.